“Researchers from the Universities of Bristol and Bedfordshire, in collaboration with multinational company ABB, have designed and tested a series of plasmonic nanoantenna arrays that could lead to the development of a new generation of ultrasensitive and low-cost fluorescence sensors that could be used to monitor water quality. 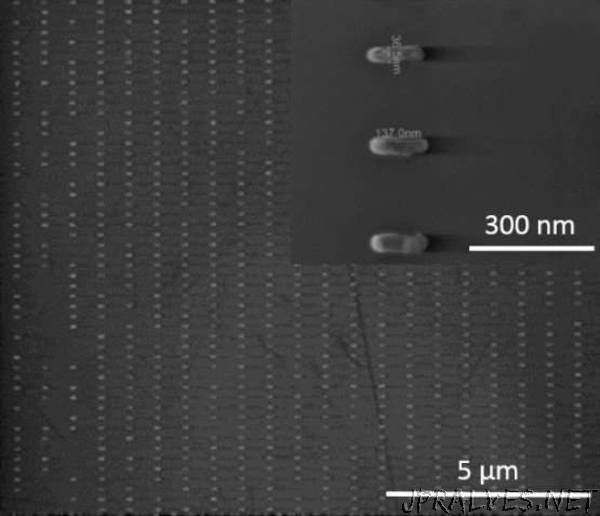 The arrays, designed and tested by Dr Neciah Dorh during his PhD at the University of Bristol, are made from aluminium nanorods fabricated using electron beam lithography by commercial partner Kelvin Nanotechnologies. The nanorods, 50nm wide and 158nm long, are designed to resonantly enhance fluorescence emission from a range of contaminants in water such as diesel or tryptophan. The work was carried out in Professor Martin Cryan’s research group, which is part of the Photonics Research group in the Department of Electrical and Electronic Engineering.